If your dog gets diagnosed with a common heart murmur problem, it may be a sign of canine cardiac disease. 1. Congenital birth defects that show up when a puppy is young. 2. Degenerative valve disease (heart valve leaks) that mostly affect older or middle-aged dogs. 3. Loss of heart muscle tissue that is typically seen in young dogs or middle-aged larger dog breeds. 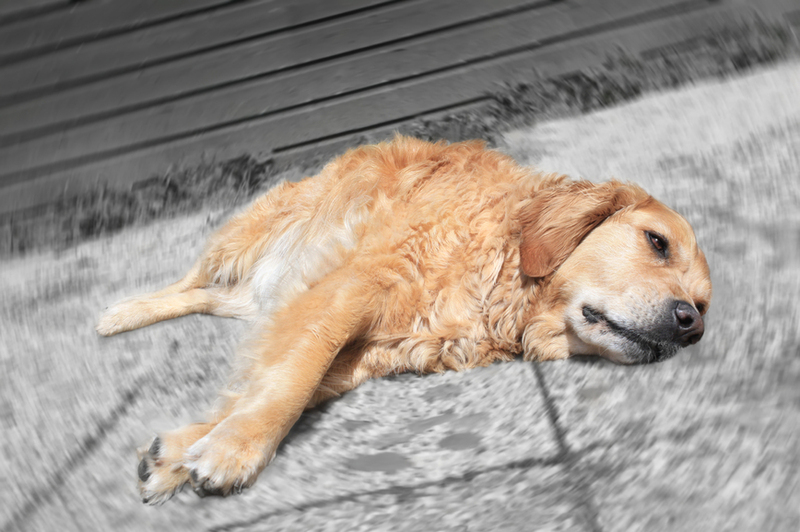 Heart disease may not show up or be detected until it has reached a point where your dog experiences heart failure, collapse, or even sudden death. Your veterinarian can certainly check your dog out for heart murmurs by using a stethoscope. However, as the dog owner, your responsibility is to be on alert for certain signs such as difficulty in breathing, coughing, intolerance to exercise, or a swollen abdomen (caused by fluid retention). Canine cardiac disease can further be checked for by specific information regarding your dog's breed type, age, chest x-rays, blood pressure measurements, and EKG readings. For a definitive diagnosis, an ultrasound of your dog's heart is required. Treating your dog back to good health will depend entirely upon the stage of the disease and how severely it has affected other parts of the body. If your puppy is young and has a congenital defect, it may be surgically removed. Heart disease that is acquired later in your dog's life requires heavy lifestyle management and changes in living. Such changes include maintaining a healthy body weight, additional exercise (or reduced activity depending upon your dog's condition), special cardiac diets, and specific medications that can be used to reduce stress put on your dog's heart from his condition. The prognosis for dogs that have canine heart disease will vary. Some dogs may be fortunate enough to have successful long-term care. Others may have a shorter lifespan ranging from a few weeks to a few years. It is important to keep in mind that the earlier your dog's condition is assessed, the easier it will be to treat and the odds will be greater that your dog or puppy will enjoy a long, healthy life.